While the stigma associated with mental disorders certainly still remains to this day, if we look back to the “bad old days” it’s clear that things have come a long way for the better. Since time immemorial, mental illness has been given a myriad of names, ranging from lunacy (based on the hypothesis that people’s insanity was closely related to the phases of the moon) right through to demonic possession. Owing to society’s ever-altering conceptions and scientists’ wide-ranging speculations as to the real root causes of mental instability, psychiatric treatment has undergone countless profound changes, with each outdoing the previous one in the barbarity stakes. Accordingly, we’ve compiled a list of the most savage and ethically questionable archaic procedures used which, as abhorrent as they were, ultimately all played a significant role in shedding light on human behavior and helped pave the way to today’s somewhat more humane psychological research and treatment practices. 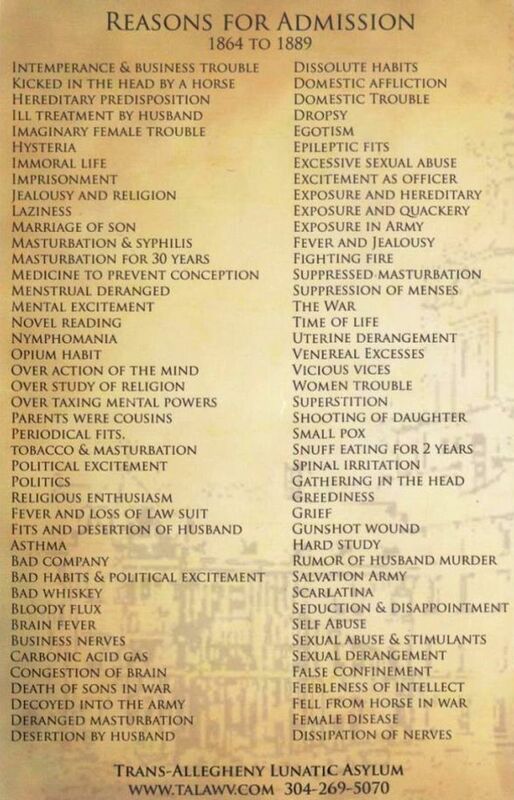 The first startling fact, even before we get started on the treatments psychiatric patients had to endure, is the disturbingly elaborate list of reasons or symptoms that could get you admitted back in the late 19th century. Asylums ran freakshow-esque “open days” to make ends meet. For many years, asylum tourism was a popular voyeuristic pastime, with wealthy patrons paying a pretty penny to visit institutions and feast their eyes on the inmates and their various ailments. 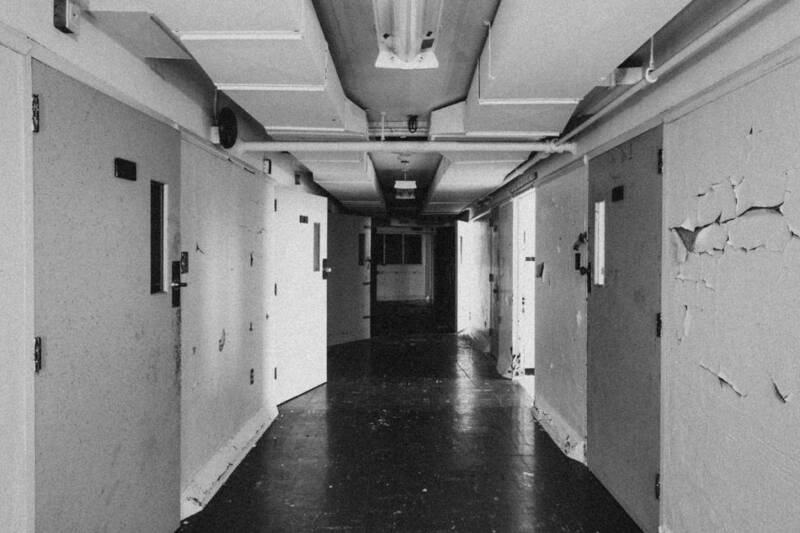 One particular asylum renowned for opening its doors to visitors was London’s Bethlem Royal Hospital — nicknamed “Bedlam” — which has inspired a number of books, movies and TV shows… and for good reason. Although a far from perfect film, whilst researching for this article, the penny dropped as to just how close to the truth the events depicted in Chew Barkers’ 2012 film, BEDLAM, really are. Here’s the trailer and, if the subject piques your interest, it’s well worth tracking down. With archaeologists having discovered trephined skulls which date back to the neolithic period, trepanation is believed to be one of the most primitive treatments for the mentally ill — and certainly one of the most repulsive. The procedure consisted of boring a hole into the skull using a trephine, bore, auger, and oftentimes a saw. The reasoning behind this barbaric operation was the common assumption that demonic possession was the root of all insanity. Theoretically, boring a hole in the skull would provide an escape route for all inner evils, thereby ridding the patient of his or her demons. More often than not, the treatment resulted in serious injury and/or death. But trepanation advocates still exist to this day, all of whom claim that the procedure clears the head and leaves patients experiencing a constant high. According to The Washington Post, at one time none other than music legend John Lennon pondered the idea of getting his skull trephined. While many professionals and non-professionals alike chalked mental disorders up to demonic possession, other pioneers believed that insanity was a by-product of undiagnosed bacterial ailments. This reasoning may seem scientifically more sound than the idea of inner demons… but the treatment involved was even more barbaric. Spearheaded by Dr. Henry Cotton, the procedure involved the removal of body parts, one by bloody one, until the patient’s symptoms had cleared up. Teeth were the first to go, but if that didn’t do the trick, then out came tonsils, spleens, colons, ovaries, testicles and a long list of et ceteras. Paradoxically, Cotton’s techniques backfired somewhat, and most patients ended up dying; not due to lack of bodily functions, but rather from infections given the unsterile operating environments the surgical procedures were performed in. This technique, the brainchild of Hungarian-American neurologist Ladislas von Meduna, stemmed from the hypothesis that epileptics would not develop schizophrenia or schizophrenia-like ailments. Accordingly, scientists came to the conclusion that inducing seizures on schizophrenic patients would release specific chemicals in their brains that would cure them of their psychoses. After testing various medications such as strychnine, caffeine and absinthe, von Meduna’s final drug of choice was the convulsive agent metrazol — a chemical that stimulates the circulatory and respiratory systems. Use of the drug was plagued with a number of side-effects, which included fractured bones and memory loss, resulting in its withdrawal from use by the FDA in 1982. Insulin coma therapy was a by-product of medical misjudgment when Viennese physician Manfred Sakel unwittingly left one of his diabetic patients in a coma after administering an excessively stiff dose of insulin. The patient in question had had a morphine problem prior to this incident, but as soon as she awoke, the coma had miraculously cured her of said addiction. Elaborating on his findings, Sakel purposely began to perform coma trials on other patients and reported a mind-boggling 90% success rate, most notably among schizophrenics. Reported immediate benefits of insulin coma therapy included increased feelings of well-being and calmness and fewer obsessive-compulsive thoughts. Those of you who familiar with Ron Howard’s film A BEAUTIFUL MIND will recall the pain and suffering the asocial mathematician John Nash had to endure. Part of Nash’s therapy included 6 weeks of insulin coma treatment for schizophrenia in 1961. Obviously, inducing comas came with its own set of risks, and between one and two per cent of treated patients unfortunately never woke up. By the 1970s, Sakel’s technique had lost all credibility, and is now unheard of in the Western world. One particularly unusual psychological service gaining a surprising amount of popularity right now in China is “death-to-rebirth therapy.” Claiming to reduce and even eradicate depression or stress, this innovative therapy invites patients to experience their own death, before being born again to go on to lead a new, malady-free life. Under the discerning eye of qualified psychologists, stress sufferers attend a “death experience center,” where they are encouraged to jot down a few final words before getting comfy in the confines of a coffin. To ensure the ultimate death experience, the final nail in the patient’s coffin (so to speak) comes in the form of an accompanying funeral march played over the room’s loudspeakers. The more claustrophobic among you will be relieved to hear that the procedure only lasts a brief five minutes, before the funeral requiem is swiftly replaced with baby cries and a more upbeat tune as the coffin lid is pulled open to celebrate the patient’s return to the land of the living. As macabre as this all sounds, customer testimonials all sound pretty optimistic, with most claiming that the experience has actually boosted their joie de vivre. Even a 35-year-old manager who had tried to commit suicide four times before turning to this treatment has since applied for a work demotion and become heavily involved with various charities to help people worse off than himself. Whilst details are pretty scarce, all the info I came across would suggest that the abhorrently-named Slipshod Home for Feeble Minded Children may have actually existed. Allegedly run by the Slipshod Sisters, a plethora of photos depicting persons of an unsound mind being experimented on to pigeon-hole them as “imbeciles, idiots or morons” instantly insinuates the kind of macabre methods the siblings employed … on kids. 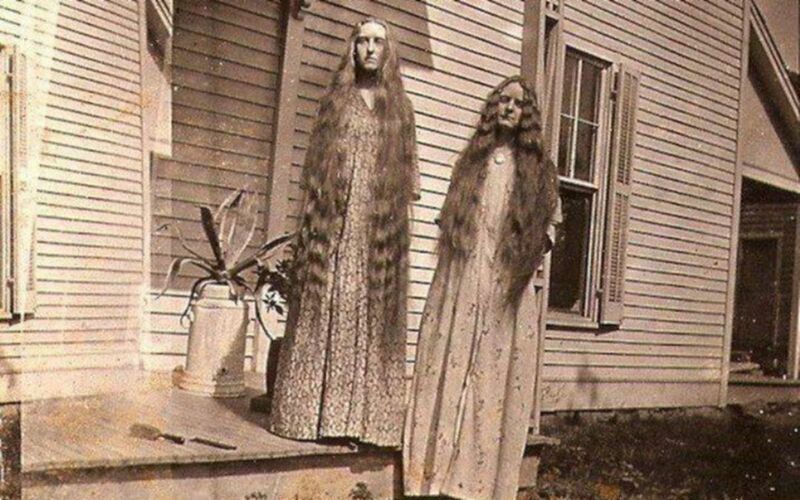 As you can see in the photo above, the sisters both steered well clear of their local hairdresser, as they believed their ragged appearance helped instill fear in their patients. 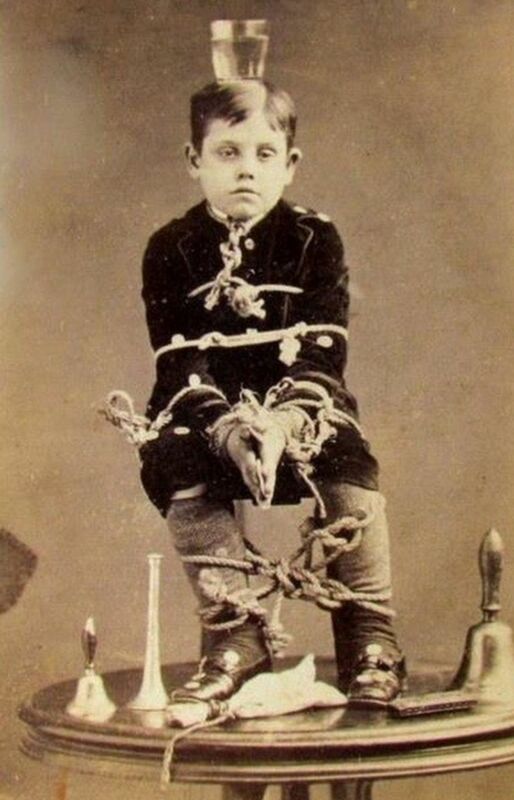 But the sisters’ split ends were the least of the children’s worries; for example, the above image of a poor unfortunate soul tied to a chair with a glass of water balancing precariously atop his head is just one of many disturbing “therapies” said to have been performed at the center. Although far easier said than done, one of the biggest steps towards beating one’s anxieties is to face your fears head on. This technique is known as “flooding,” which is essentially an intense form of exposure therapy. The hypothesis is that flooding evokes a fight-or-flight response which overwhelms the patient’s mind, forcing them to kiss their irrational fears goodbye once and for all. Whilst the technique has proved therapeutic for many patients, some critics claim that this intense exposure may actually do more harm than good, aggravating phobias rather than unrooting them. Despite the naysayers, flooding still continues to play a dominant role in cognitive-behavioral therapies, and a prime example of just how effective it can be was demonstrated when Derren Brown employed the technique on unsuspecting victims in his UK TV series TRICK OR TREAT. In the video below, we find Brown forcing an imprudent driver to witness her own death in an attempt to evoke a strong enough response to ensure she drives with a lot more due care and attention in the future. 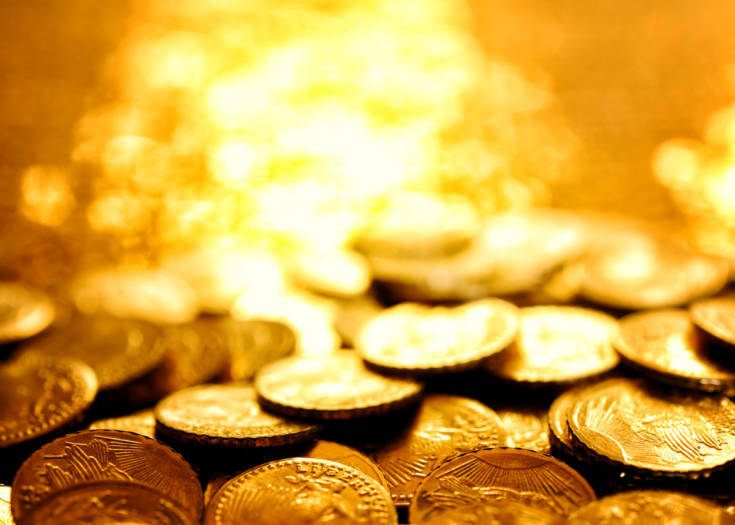 Previous Story Where In The World Is Forrest Fenn’s Hidden Treasure?